Welcome to Brand New Readers! Every child can read Brand New Readers. 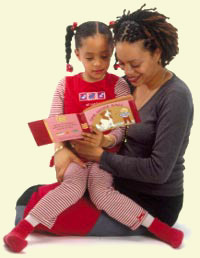 When children are ready to read, what book should they read? How do you choose a book that will best introduce children to the joys of reading and give them the confidence that they can read? Brand New Readers work! Children ages 4-7 can read the books in this exciting new series immediately and enjoyably -- even the first time through -- and early success helps children become good readers. Based on what experts know about how children learn to read, Brand New Readers -- published by Candlewick Press -- are short, funny stories with words and pictures that help children reading for the first time succeed--and have fun! Every book includes advice to help you guide and support brand-new readers! 4 high-quality paperback books in a case -- just $5.99! Use the buttons to the left to learn more. Brand New Readers range in level from A-E. Click here for more information.